This model has worked wonders for Pulizzi and countless other examples detailed in the book. Connect these six pieces like a puzzle, and before you know it, you’ll be running your own profitable, scalable business. Pulizzi walks you step-by-step through the process, based on his own success (and failures) and real-world multi-million dollar examples from multiple industries and countries. Whether you’re seeking to start a brand-new business or drive innovation in an existing one, Content Inc. provides everything you need to reverse-engineer the traditional entrepreneurial model for better, more sustainable success. Want to learn more about the Content Inc. model? Sign up for the Content Inc. Lab at Content Marketing World 2016. Register Today! And don’t forget to listen to the Content Inc. Podcast each week! 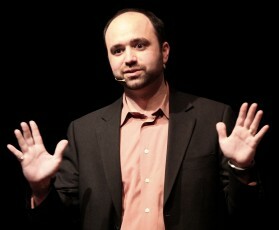 Joe Pulizzi is an entrepreneur, professional speaker, and podcaster. He is the founder of several startups, including the Content Marketing Institute (CMI), recognized as the fastest growing business media company by Inc. magazine in 2014. CMI produces Content Marketing World, the world’s largest content marketing event, and publishes the leading content marketing magazine, Chief Content Officer. Joe is the winner of the 2014 John Caldwell Lifetime Achievement Award from the Content Council. 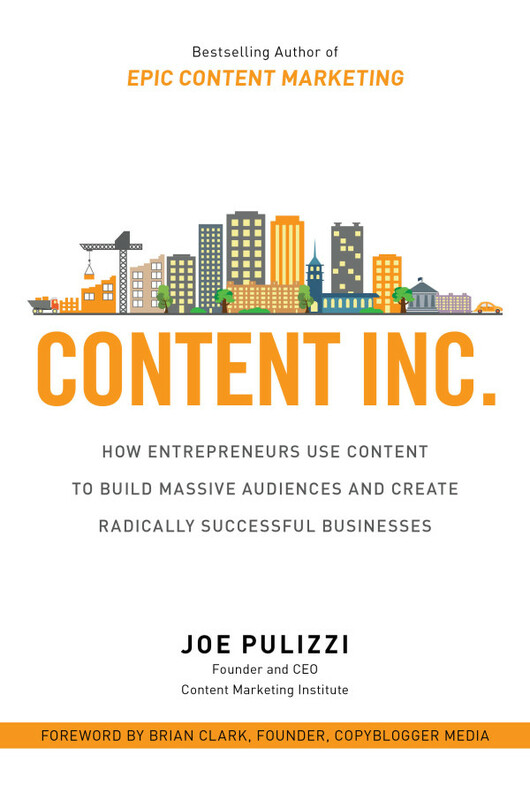 Pulizzi’s book Epic Content Marketing was named one of Fortune magazine’s Five Must Read Business Books of the Year. You can find Joe on Twitter @JoePulizzi. If you ever see Joe in person, he’ll be wearing orange.